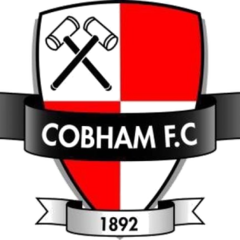 The Firsts are on the road tonight for the first away game of the season, when they head down the A3 to take on newly promoted Cobham. The two sides had mixed opening day results, whilst we were narrowly seeing off Knaphill, thanks to a Matt Auletta goal, Cobham were on the wrong end of a 4-0 defeat away at Horley Town, although the game was tight until Horley scored twice in the final ten minutes. We met last season in the EL Records Premier Challenge Cup quarter final when goals from Daryl Cooper-Smith and Asa Rixon-Nicholls gave us a 2-1 win, although in truth it was a game we should have lost as Cobham were much the better side on the night. Cobham finished runners up in Division One, behind runaway champions Worcester Park, to earn themselves promotion to the Premier Division. Darren and Donny have a good squad available this evening, as the lads look to build on their opening day win.